It’s one of those questions that we tend to avoid and it is estimated that up to 70% of us will die “intestate” or not having made a Will. There seems to be no exception to this when it comes to the partners and spouses of military personnel, which is strange when we are so often confronted with the thought of what life would be like if the worst should happen to our other halves. We seem to think that it is morbid to consider what will happen after we die, but it should be reassuring to know that we have made provision for the people we love and care about. As you may be aware, the MOD advises all Armed Forces personnel to draw up a Will with a professional adviser prior to deployment. However, this very rarely happens in practice and is often not reviewed after their return. The MOD106 Will is available to all military personnel. However, the form states that service personnel must seek professional/legal advice in certain circumstances. These are in bold at the top of the form. If your estate is complex or likely to be of high value. If any of these circumstances apply to you or your partner, it really is worth checking over your Will, or your circumstances, to see what the likely outcome is in the eyes of the legal system. For many it is often a surprise. 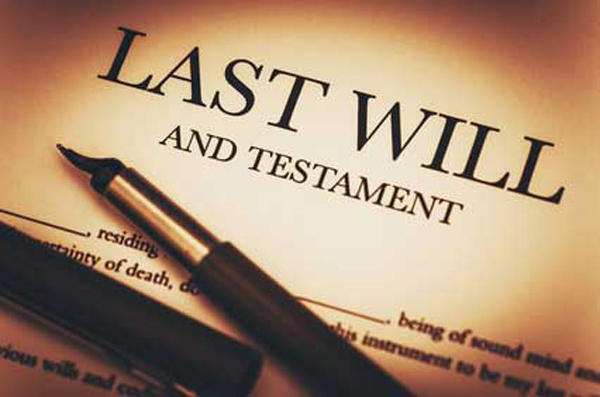 A Will is simply a record of the choices you have made about what happens to your money, property and possessions. With the right advice it can also help reduce Inheritance Tax. But the best reason for making a Will is that it makes a stressful situation a little easier for your nearest and dearest. What do I put in my Will? What will happen if your beneficiaries have died before you. What do I do with the Will once I’ve made it? Tell your executor that you have appointed them and where your Will is stored. This is usually at home, which is not advisable, or could be kept with a solicitor or bank. Forces Family Finance store your Will for free in secure, lifetime storage. The executor named in the Will dies. Start the process for writing your Will now! Contact us to book your 10-minute FREE telephone consultation on 0330 3322 614, or email us at customerservices@forcesfamilyfinance.co.uk. Forces Family Finance are proud to offer all military personnel a discount for their Will writing services.